For most of us the holiday season is a time of friends and family, lots of food and too many holiday parties. Unfortunately, it is also one of the most difficult times of year for the poor amongst us and one of the reasons I created the Donafy App. 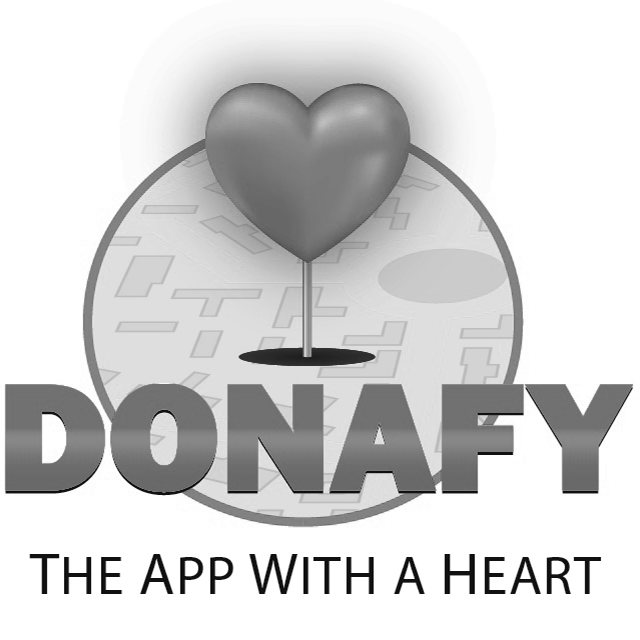 Donafy is a free smartphone app that allows users to locate and donate to nearby nonprofit organizations that service people in need of emergency housing, food, medical care, mental health, job training, LGBT and legal services. The app allows users to notify an organization that someone at that specific location is in need of services. Donafy is also an important resource for those in need of services as a way to locate organizations in their area by allowing them to map their location and find nearby service providers or to search a complete list of all organizations featured within the app. Eventually, my family got off the streets and I was able to get a good education which led me to higher education here in Philadelphia. Through the determination that I inherited from my maternal grandmother, hard work, and the support of strangers I was able to finish school and by age 30, I was a Temple University Beasley School of Law graduate with a J.D., MBA and LL.M in Taxation all earned in only four years. While I have built a successful law practice (www.phillytaxdiva.com) specializing in local tax matters here in Philadelphia, I recognize that I was one of the lucky ones. My younger brother, Michael, was separated from the family in foster care and died in 2010 battling addiction and homelessness for his entire adult life. It is for this reason that I advocate on behalf of the homeless. It’s estimated that 60,000 children in Philadelphia live in deep poverty. That’s 60,000 Nikkis or Michaels with talents and aspirations that, without doing anything, we’re letting languish into obscurity. Donafy is a vehicle to help those children and women and men in need. The donations through Donafy focus on people giving small amounts (between $1 – $10) through impact that I call micro-philanthropy. It’s based on the ideal that if we all do a little, we can have a big impact. Donations are processed directly through PayPal and one-hundred percent of all donations go to the service organizations. Many people have the idea to create a mobile app but because of lack of technical experience or funds never follow through. I would encourage you to partner with good people who have the skills or expertise that you may be lacking. While I am not a software developer and would not be considered a techie in my day-to-day life, my training as a lawyer and passionate desire to advocate for the underprivileged led me to want to create something for our city. Funding is scarce for social innovations, so I built a team of smart, passionate people and we funded the development ourselves. The development process was a new experience, which is why it was helpful to have a founding member of the team (who happens to be my husband) with experience in that area. He’s managed the production of software in the past, but mobile apps provided a set of unique challenges. Chief among them was creating a fast, easy and enjoyable user experience (UX). While the developers had technical skills, their ability to be creative in developing a user-friendly app was sometimes lacking. So, although we may not have had the technical ability to build our own app, having the vision of what we wanted the app to do was important, especially since almost all users would not be technically sophisticated. This caused initial delays in order to ensure that this feature was foremost in all development decisions. During this period, and throughout the process, it was critical to have frequent, almost daily, meetings to discuss functionality and business rules to ensure the product met the needs of our users. Donafy has three distinct user bases (those that need services, nonprofit organizations, and donors), this made it even more challenging to create a technology that is not only usable, but also meets the social innovation objectives we set out to accomplish. By researching the desires of our users and studying design trends in mobile as well as web applications, the overall look and feel of Donafy was created. This process is ongoing and we have additional development to add features and continue to simplify the user experience further. Many people have the idea to create a mobile app but because of lack of technical experience or funds never follow through. I would encourage you to partner with good people who have the skills or expertise that you may be lacking. Hard work, drive, and passion are the main ingredients in any successful project. As Temple alumni, I know that you possess those characteristics in abundance. If you are lacking funds consider going to friends and family or crowd funding to make your ideas become a reality. I am proudest of Donafy in that it provides an example that the poor can not only achieve, but can also be a part of the conversation for solving real problems in more innovative and effective ways. We are not just consumers, but also creators and problem solvers. Philadelphia has one of the poorest populations in the country, #3 overall and #1 of large cities. We are not going to continue to grow and be competitive as we could if we are not able to help people get out of homelessness and poverty. I have had my opportunity for the American Dream, and I am hoping that in a small way that this app will help others find a path to their own dreams. Donafy is free to download and is currently available in the Apple App Store for the iPhone. So the next time you walk past someone in need and say to yourself I wish someone would do something about this problem, I hope you will remember that someone did do something and that you will use the Donafy App to help those in need and to ask yourself this holiday season. Did I Donafy today? Posted in Alumni Comments, Alumni Spotlight and tagged Donafy, Homelessness, Micro-Philanthropy. Bookmark the permalink.